T’ish the season for giving, sharing and stuffing our faces with delicious food. This time of year is greatly associated with turkeys, pork or any kind of meat that you might have for Christmas dinner, but everyone seems to forget about fish. Yes, fish is hugely popular for a Friday night takeaway but for Christmas dinner? Well, it’s time to show how festive a fish dish can actually be and who knows, you might be opting for seafood for Christmas dinner this year, rather than the traditional bird. 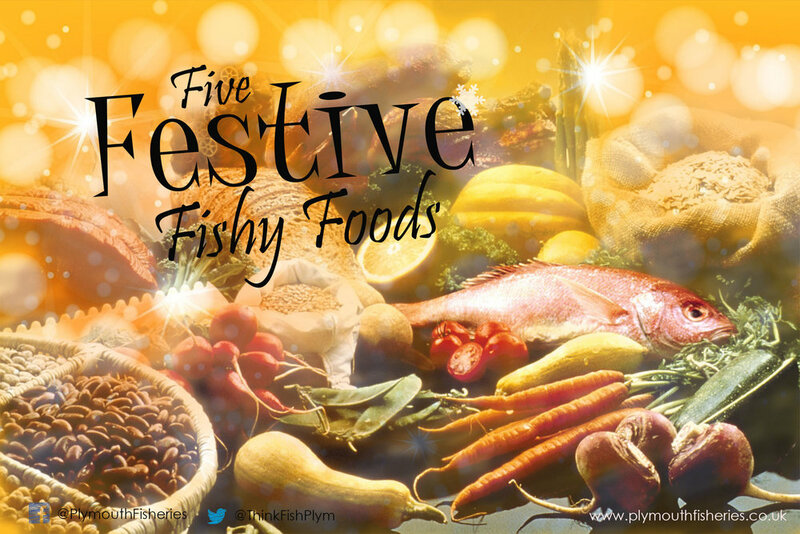 Here are five festive fish foods, perfect for dinner parties and family meals. This Scandinavian style dish is a perfect addition to a festive family feast. A favourite food amongst us brits with a little fishy twist, packing the salmon around the egg and rolling it in breadcrumbs will make for a delicious and slightly different dish. This particular recipe is by Valentine Warner, which gives you step by step instructions on how to make this Scotch egg special from scratch. Would any Christmas dinner party be complete without a prawn cocktail as a starter? This much loved dish is timeless and hugely popular, but there is always room to add your own special twist. Something as simple as adding another ingredient, such as avocado, can give it a modest spin. Or, you can spice up with a Bloody Mary sauce that is sure to be a hit among the adults and will make it stand out from the crowd. Sticking with the alcohol theme, maybe a gin prawn cocktail would be more to your liking, you could even experiment with different gin flavours. The possibilities are endless. This particular recipe however, is alcohol free and gives you the straightforward steps to create this much loved dish. A dish that can be prepared in advance, this traditional Victorian starter is quick and easy and can still impress your friends and family around the table, not to mention, crab is incredibly healthy. Full of protein, omega-3 fatty acids and plenty of vitamin B2, your guests will enjoy a delicious course and feel better knowing it’s a health option. This recipe from the Cornish Fishmonger is an easy to follow guide and the whole process will only take you 10 minutes! Doesn’t that sound delicious? Meaty Monkfish, wrapped in bacon and accompanied by a mixture of herbs, cranberries and pine nuts to warm your bellies and tickle your taste buds. If you’re looking to take your time and make a big effort for the main meal, then this is the recipe for you. With instructions on making the dish from scratch, it will take more time than the other meal options on this list. This festive fishy dish will surely get you in the mood for Christmas. And for the main event, wow your friends and family with, not one, but a two fish roast. This particular recipe uses smoky haddock cushioned between two salmon tail fillets, coated in rich parsley butter and is sure to be a show stopper at a Christmas dinner party, or even on the big day itself. This recipe is easier than you think and can serve up to 8 people. Push the boat out this Christmas with a festive fish feast. All of the fish in these recipes are landed at Plymouth Fisheries or can be purchased from our tenant businesses. For more information, visit us or take a look at our website. Merry Christmas from everyone at Plymouth Fisheries.